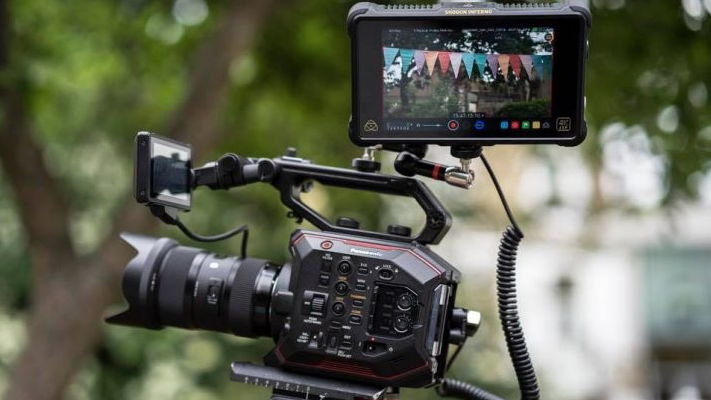 Atomos have announced the AtomX SDI module for their Ninja V line of 5″ monitor/recorders. 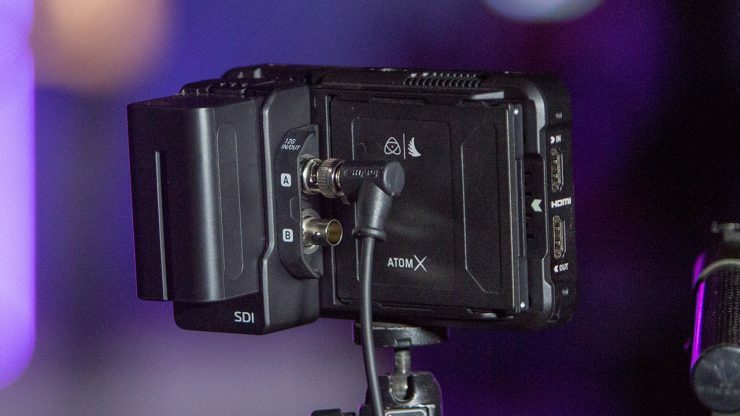 The AtomX SDI features two SDI connectors that can be configured to loop through or to double up and allow recording via a dual 12G signal. The module supports 4K at up to 60p as well as 2K at up to 240p. The small unit is the first in a planned range of interchangeable AtomX modules that will bring expanded I/O to the Ninja V. It clips on to the back of the monitor and passes through power from Sony NP-style batteries. The Shogun Inferno can accept a RAW feed from the Panasonic EVA-1. As we’ve reported before Atomos also have other AtomX modules planned: the next one is a timecode sync module that will allow you to sync recording between Ninja units and control settings via an iOS app. There’s also an NDI module in the works that will allow the Ninja V to deliver video over Ethernet. Atomos have been talking about the expansion modules for a while now, and hope to be delivering the first units in June of this year. The AtomX SDI module will be priced at $199 US.